The T9 Plus single-handed mechanical gaming keyboard is essential for MOBA gamers looking to boost their reaction times. 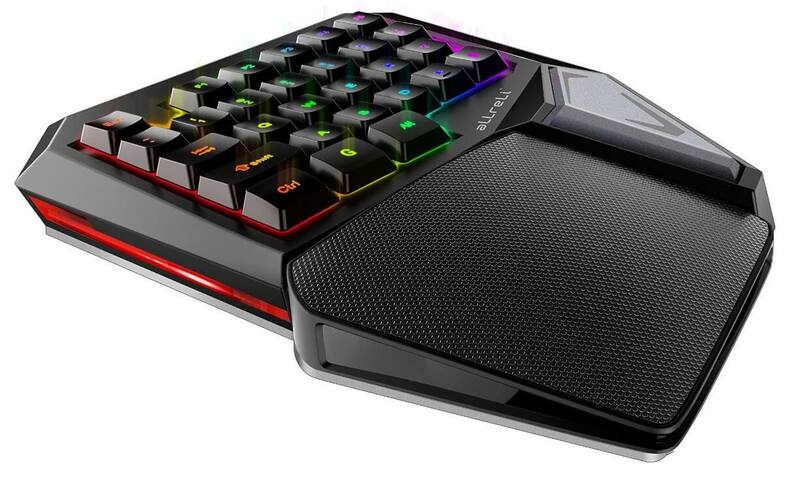 Tailor-made for games like League of Legends, this keyboard lets you string together combos with blazing speed and it’s on sale for just $54.99. Winner of the 2016 Red Dot Design Award, the T9 Plus lets you configure macros so you can streamline complex combos without having to mash a handful of keys. Features include an ergonomic key layout (29 keys), oversized palm rest, RGB backlit keyboard with configurable lighting effects. That way, you can avoid discomfort and play for longer. The aLLreli T9 Plus mechanical keyboard normally retails for $99, but it’s currently on sale for $54.99.